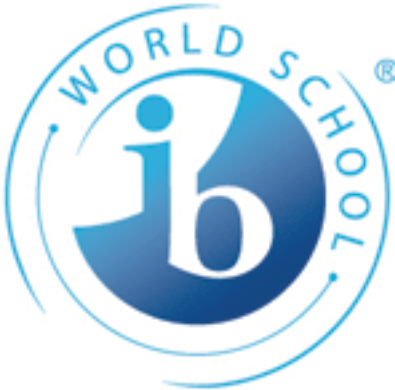 Since 2009, Kingsbury has been an authorized International Baccalaureate (IB) World School. The IB Primary Years Programme (PYP) gives our Kingsbury Kids a distinct advantage, both in continuing their remarkable record of acceptance into the high school that is their first choice, and in increasing their understanding and abilities to compete in this increasingly "flat" world. Within the model of PYP, students engage in conceptual approaches to curriculum and content. In grades K-4, units of inquiry are student-driven through an inquiry-based and collaborative approach to learning. Students are encouraged to ask questions, make authentic connections, discover through hands-on learning, and reflect on growth. In addition to this rigorous approach to curriculum, the students prepare to be life-long learners and develop a sense of international-mindedness through the Learner Profile attributes. Each month, a profile attribute is highlighted and celebrated among the student body. We thoughtfully consider the world and our own ideas and experiences. We work to understand our strengths and weaknesses in order to support our learning and personal growth. We show empathy, compassion, and respect. We have a commitment to the community, and we act to make a positive difference in the lives of others and in the world around us. We appreciate our own cultures and personal histories, as well as respect the values and traditions of others. We seek and consider a range of points of view, and we are willing to grow from the experience. We show tolerance when we listen to other people's ideas. We understand the importance of managing different aspects of our lives - personal, social, and physical - to achieve well-being for ourselves and others. We recognize our interdependence with other people and with the world in which we live. We approach uncertainty with confidence and determination. We work independently and cooperatively to explore new ideas and strategies. We are open-minded in the face of challenges and change. We use critical and creative thinking skills to solve both simple and complex problems. Using integrity, we take responsible action to make good choices. We develop and use conceptual understanding, exploring ideas across a range of disciplines. We engage with issues and ideas that have local and global significance. We respectfully and confidently share what we have learned. We nurture our curiosity, developing skills for inquiry and research. We ask questions and know how to learn independently and cooperatively with others. We learn with enthusiasm and sustain our love of learning throughout life. We express ourselves confidently and creatively in more than one language and in many ways. We collaborate effectively, listening carefully to the perspective of other individuals and groups.